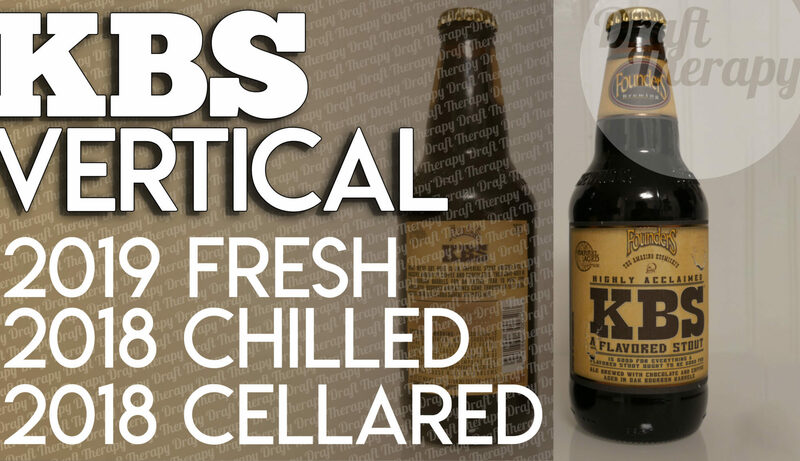 Today I’m taking a look at Founder’s KBS a few different ways in this vertical tasting. I’m taking a fresh 2019 KBS, a cellared bottle from 2018, and a chilled 2018 bottle that has been kept at or around 45 degrees Fahrenheit since it’s purchase in early 2018. Does chilled vs. cellared vs. fresh make a difference? That’s what I’m hoping to find out in this video. Stay tuned to the end for something I’ve never done before, too!